What does change have to do with being an entrepreneur? Entrepreneurship is all about change. When you start your own business it’s often scary as you’re leaving a “secure” position to go out on your own to new and uncharted territory. Having a business is all about experimenting. You try one niche and if you don’t get a great response you switch to another. You write copy for a program, product or service, test it, see who it attracts and then write some more and test that. In business we learn from our successes as well as our failures (usually more from our failures). Being successful in business requires being open to learning and growing. As we move through the various phases of growing our business, limiting beliefs and unresolved issues typically come up for us. Our inner critic sends us messages such as: Who do you think you are to want a 6-figure income? (related to self-worth); How can you choose such a narrow niche, you’ll have no clients? (related to fear of not making enough money). In order to grow your business you need to address those limiting beliefs and unresolved issues which involves change and transformation. Life Transitions and Changes in Business are intertwined. If we are stressed by changes in our business (e.g. breakdown of a business partnership), we often bring them into our personal lives and take our anger and frustration home with us. Similarly, if we are going through relationship transitions (e.g. separation or divorce), we often bring the emotions associated with those into our work. They may cause us to lose our focus, our patience and result in less engagement, lower productivity and more conflict at work. Our beliefs about change influence our behaviors related to it. For example, if you perceive change as scary and to be feared, then you will resist it and experience a lot of stress related to it. Whereas, if you view change as a creative process that opens you up to new possibilities, the change experience becomes exciting, easier and faster. There is some solace in knowing that we are all hard-wired to fear change. Our amygdala (part of the brain) is constantly scanning the environment to protect us and keep us safe. When it perceives a threat or something out of the ordinary, it sends messages to our bodies to go into fight, flight or freeze. feel constantly under stress leading to chronic health issues and negative impacts on our relationships and our businesses. So how can we reduce our fear of change? learn a proven model and tools to help us reduce resistance and embrace and successfully navigate any change. Having been an entrepreneur since the early 1990s, and running three successful businesses, I’ve experienced many changes in my business and personal life and learned some of my lessons the hard way, I know that having tools and processes to understand and embrace change is critical to creating the business and life of your dreams. I’m now called to support leaders and entrepreneurs to better understand and to embrace change. Based on more than 25 years of leading, consulting and coaching with individuals and organizations from diverse cultures on 5 continents, I’ve created the Art of Change Framework. It’s a proven 5-step process that guides and supports individuals and teams to move from fear and uncertainty to clarity and confidence. It makes the change experience fun as it likens the process to learning a dance. We all need to process change and we do it in different ways and at different rates. 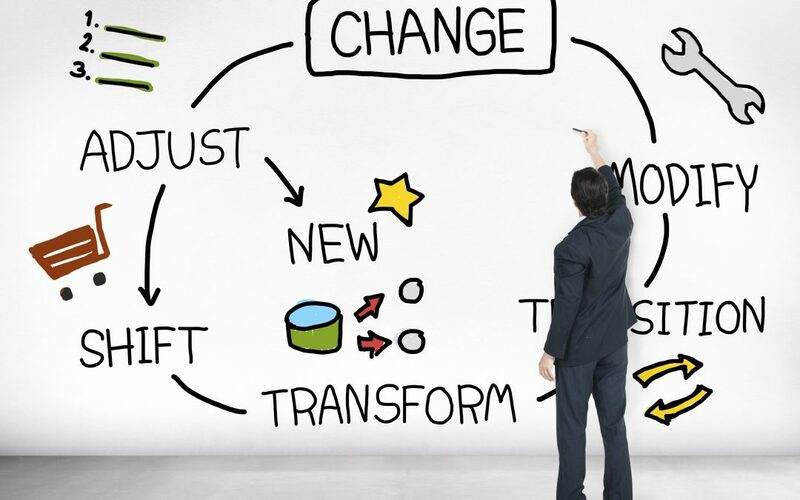 When you have an increased understanding of change and how you respond to it, and proven processes and tools to help you to successfully navigate the change experience, it positively impacts your business and your bottom line. I always like to hear from you and how the articles “land” and welcome your comments below. How has change affected you and your business? What tools and strategies have you found helpful to navigate change? Please share the post with others who you think might benefit. This posts offers wonderful personal insights, Pamela. Some people are more adaptable and embrace change. As a fixed sign, I find that I often resist change when it feels imposed on me. Yet, if I institute the change…it is much easier to accept. Change is inevitable, so it is interesting to see how many people resist it even knowing that it doesn’t serve them. Hi Beverley, I appreciate your feedback. You are correct, if you institute change it’s much easier to accept than if it imposed on you. Thanks for sharing your experience. Hi Pamela. Great post on change and why we resist it so much. I personally love change. I can’t say that I feared it. Sometimes, I would jump two feet into something I had no knowledge of, like starting my coaching practice. On the other hand, my son resists change on most things regarding family, work, schedules, etc. If we didn’t give him several hours to a few days notice, he would be very upset. Hi Claudette, Thanks for sharing your experience with change. Happy you found the post of interest. Appreciate your feedback. Hi Suzie, Thanks for your positive feedback and for sharing your experience with change. Indeed, we learn so much from reflecting on life changes and how we’ve responded to them. They all help us to learn and grow! I related to so much of what you said. Following the guidance of our souls and our passion is not always comfortable and not without fear or doubt. Getting through that fear and doubt is where we find freedom and joy. Thanks for sharing your wisdom! Hi Kris, Happy that you related to my post. It is so true that when we embrace change, we can then move on to freedom and joy! Enjoy embracing the art of change! One thing we can guarantee – change. How we approach it and whether we like it is so individual. Thank you for this thoughtful post. Hi Meghan, That is definitely true that we can guarantee change :). Thanks for your kind feedback.